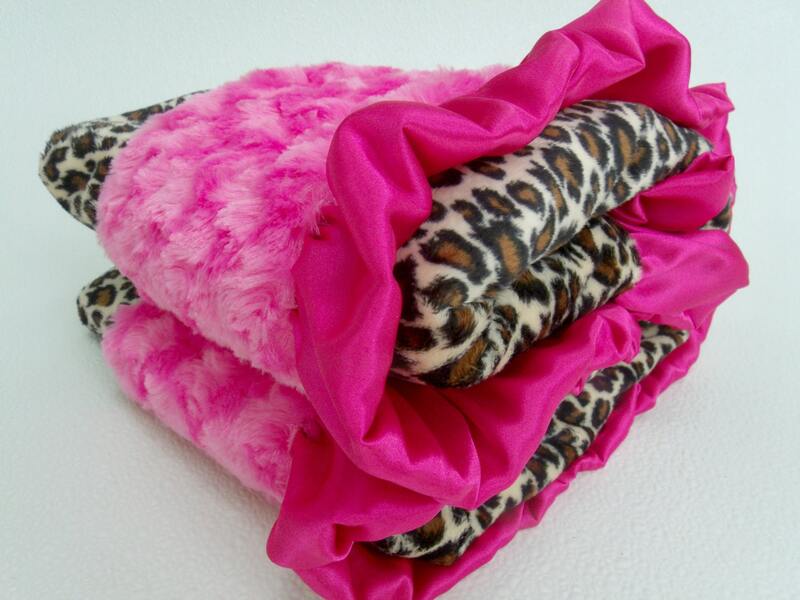 Leopard or cheetah print paired with a fuchsia pink rose swirl minky baby blanket. This is a cute option for your wild child baby girl. Shown with fuchsia pink swirl, the contrasting color can be changed to any color you prefer. Just leave your fabric choices in the note to seller box.